This is not an easy question to answer, as it is very much like ‘how long is a piece of string?’. It depends on all sorts of factors, but we will try and give some guidelines. First of all it will depend on your act itself. 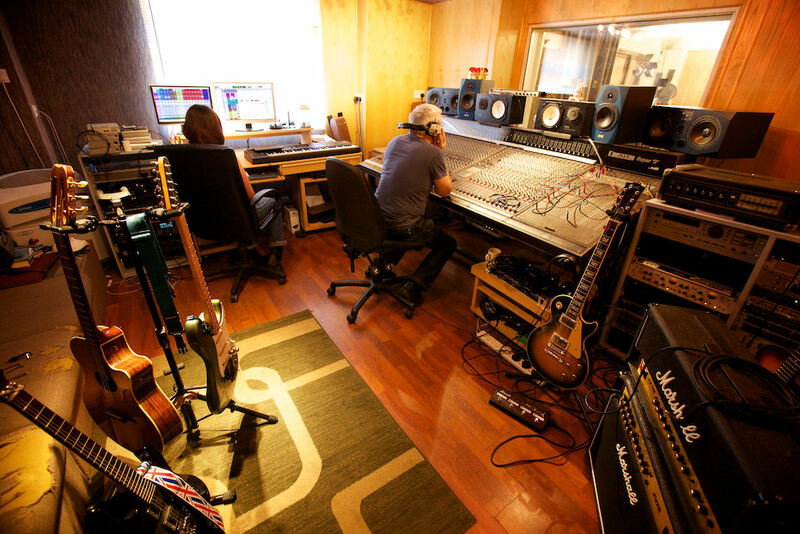 What genre you are playing, how many members there are, what instruments will need to be recorded, how well rehearsed you are, how long the material is, and whether the tracks are fully written or whether more writing will be done in the studio. An act with just acoustic guitar and vocal can manage a few tracks in a day, a 5-piece band cannot. You also need to ask yourself – what sort of quality recording are you after? We pride ourselves that we do not turn out finished products unless they are of a standard that can be used for promotion or independent release. But there is still a considerable gulf between this type of recording and the commercially released albums most people aspire to. Many big-selling albums take years to create. Mixing alone is often done over periods of months. Our rule of thumb for the ‘good-quality demo’ that meets most unsigned acts’ requirements is to allow one 10-hour day session per track. This is achievable by an average Drums, Bass, Guitar & Solo Vocal setup. If you are unsure if you may need more call us to discuss your specific needs and we will do our best to help. If you use less time than you book we will not charge for it other than rounding up by the hour. So we’d strongly recommend you budget and book time erring on the side of caution.